Some veggies just taste better burnt, especially when you mix them up in a salsa. Here are some easy ways to char salsa ingredients in the kitchen. For a more flavorful salsa, Sho Spaeth at Serious Eats suggests you burn and blister the skins of your main components. The charing adds a rich, smoky flavour that balances well with the sweetness of tomatoes, tomatillos, and most peppers. To char them, you can hold them with tongs over the flame of your gas burner stove, use a chef's mini-torch to carefully burn the skins, or use your broiler. 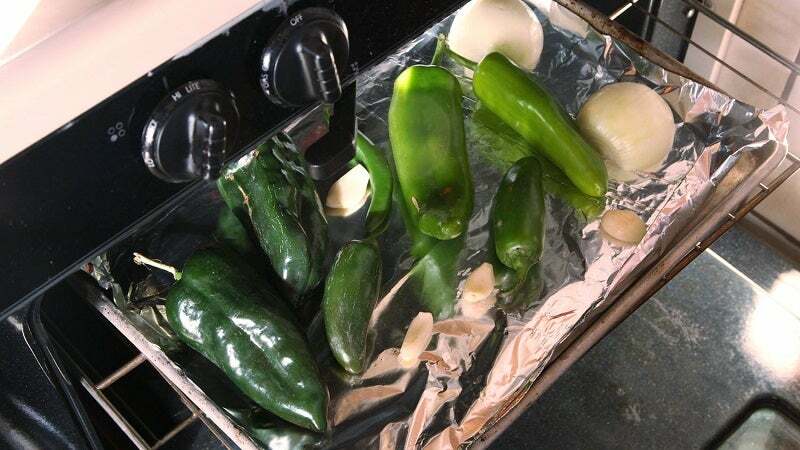 Spaeth says the most efficient way to char up several vegetables at once is to place them on a foil-lined baking sheet and stick them under a preheated broiler. In a matter of minutes, all of your salsa ingredients will be charred and ready to be blended together.